A note from Becky: As a lot of you know, I come from a large extended family, and enjoy time with them, as well as with my husband’s family. Summer time seems to bring out the occasions of family gatherings, including graduations, weddings and family reunions. 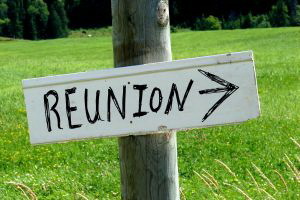 My friend, Jennifer Slattery, provides a guest post this week talking about family reunions. Enjoy! Though the above situation is fictional, it’s symbolic of what my attitude looked like for more than a couple years. An attitude that didn’t please my husband in the slightest, nor should it have. This was his family, after all. Our daughter’s family, and, well, mine, too, thanks to the glimmering rock on my finger. It wasn’t that I didn’t like my in-laws. Rather, I was convinced they didn’t like me. Which may have been true to some extent. After all, I didn’t attend the family get-togethers with the best attitude. Seriously, who wants to be around a scowling, defensive adult? We expect to leave those types of encounters behind in junior high with our pimple cream and blue-glitter eye-shadow. It’s funny, how negativity worked. Convinced my in-laws hated me and thought I was the worst thing that had happened to my husband ever, I brought a swirl of negativity into every situation. This tainted my perceptions and caused me to view normal comments as attacks and casual questions as interrogations. Because that’s what negative thinking does-it skews our perceptions, heightens our insecurities, and leads to all sorts of miscommunication. This took me aback and caused me to reevaluate years of interchange, and as I did, I realized the problem wasn’t with my in-laws, but rather with me. It’s been years since receiving that a-ha moment, and my, how things have changed. I’ve come to see how incredibly caring my extended family is; caring and hilarious. So much so, that I now look forward to and cherish those reunions I once dreaded. I think we all have tendencies to bring negativity into certain situations, carrying with us lies we’ve come to believe and that, if unchecked, we project onto others. But most often, when we cast those lies aside, we find those situations that gave us the most angst can actually become times of joy and peace. For those of you who don’t get along with your in-laws, did my experience resonate with you, even a smidgeon? Pause for a moment to consider your attitude and perceptions. Are you bringing any negativity in thought or action into the situation? How might things be different if you set those aside, viewing the encounter through an untainted lens? Jennifer Slattery will be celebrating her nineteenth wedding anniversary with the man of her dreams and her best friend this summer. The two of them enjoy taking long, leisurely walks together, going on coffee dates, and foregoing dinner for a gianormous tub of frozen yogurt. When Jennifer’s not spending time with her hubby or their hilariously fun teenage daughter, she’s most likely attached to a book or her keyboard. She writes missional romance novels for New Hope Publishers, Christian living articles for Crosswalk.com, and devotions for her personal blog and Internet Café Devotions. You can visit her online at http://jenniferslatterylivesoutloud.com or dive into one of her fictional worlds by purchasing her debut novel, Beyond I Do. Marriage . . . it’s more than a happily ever after. Eternally more. Will seeing beyond the present unite her and her fiancé or tear them apart? Ainsley Meadows, raised by a hedonist mother, who cycles through jobs and relationships like wrapping paper on Christmas morning, falls into a predictable and safe relationship with Richard, a self-absorbed socialite psychiatrist. 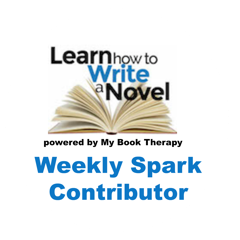 But as her wedding nears, a battered woman and her child spark a long-forgotten dream and ignites a hidden passion. One that threatens to change everything, including her fiancé. To embrace God’s best and find true love, this security-seeking bride must follow God with reckless abandon and realize that marriage goes Beyond I Do.